Ira Longini is currently a Professor in the Department of Biostatistics, College of Public Health and Health Professions, with joint affiliation in the Department of Statistics, Center for Quantitative Infectious Diseases, and the Emerging Pathogens Institute, at the University of Florida, and the Department of Statistics at the University of Washington. His primary research topics are statistical methods and mathematical methods for assessing transmissibility and intervention effectiveness for infectious diseases. Stochastic modeling of biological processes, especially infectious diseases. Design and analysis of infectious disease transmission and interventions studies. 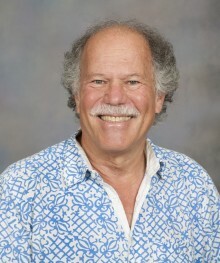 Ira M. Longini, Jr., is a professor of biostatistics at the University of Florida and is Co-director of the Center for Statistics and Quantitative Infectious Diseases (CSQUID) at the Emerging Pathogens Institute. Dr. Longini has worked on the analysis of epidemics of Ebola, influenza, HIV, tuberculosis, cholera, dengue fever, Zika, malaria, plague, Lassa fever and other infectious agents. Dr. Longini also collaborates with the DHHS, WHO, the CDC and other public health interests on mathematical and statistical models for the control of a possible bioterrorist attack with an infectious agent such as smallpox, and most of the other natural infectious disease threats such as pandemic influenza, cholera, Ebola and Zika. Dr. Longini is author or coauthor of over 190 scientific papers and he has won a number of awards for excellence in research, including the Howard M. Temin Award in Epidemiology for “Scientific Excellence in the Fight against HIV/AIDS.” He is a Fellow of the American Statistical Association and a Fellow of the American Association for the Advancement of Science.